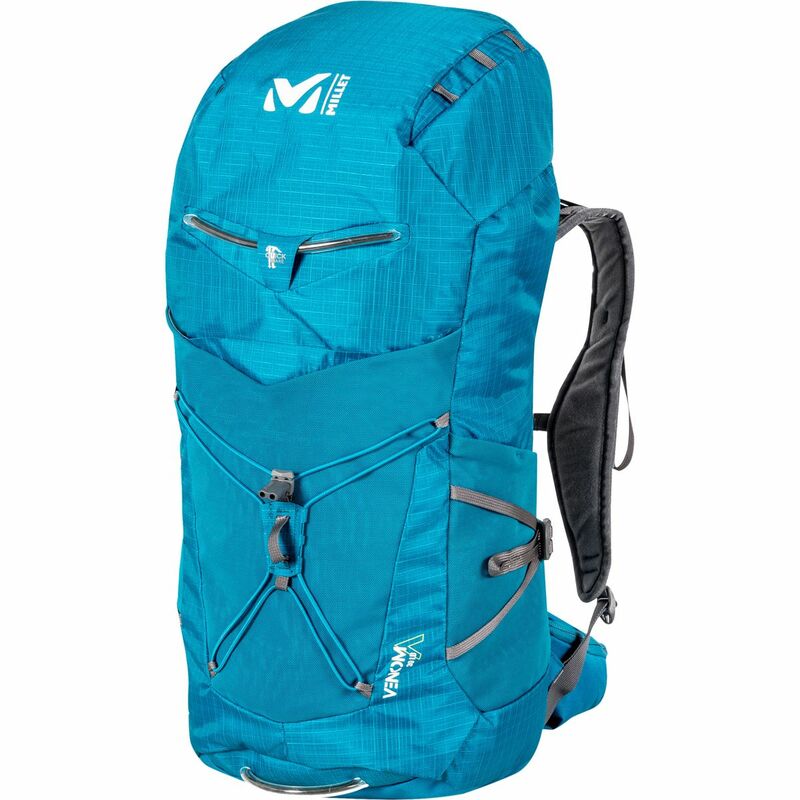 Tested and approved, this mid-capacity pack is designed for trail running and rapid travel in the mountains, with the varying conditions this entails. LTK Series With 30L capacity and an Alpine shape, i ncluding a narrow silhouette that frees up movement, the VENOM 30 LD is suited to steep and technical terrain. Its ergonomic design, suited to the female form, wraps the curvier figure characterized by narrower and rounder shoulders, a bust, a shorter back and a wider hipbone structure. It's perfectly suited to trips where every gram counts. The VENOM BACK delivers high breathability on alpine slopes. The heat-molded back panel uses ARIAPRENE foam covered with 3D mesh; the foam combines comfort, softness and breathability, and it's also a hypoallergenic, anti-odor and non-toxic alternative. The back panel is supported by a lightweight internal polypropylene frame, while the load-adjusting suspension system features light and ergonomic shoulder straps with perforated mesh, and a hip belt that stabilizes the load without restricting mobility. The shoulder straps are curved to fit the female body, and move pressure away from the bust. The hip belt is slightly longer to sit correctly on the hips and wrap around them. Inspired by climbing harnesses, it has a light flexible build that sits the load correctly on the hipbones and comfortably wraps around them. The zipped hip-belt pockets, ergonomic with easy access, will keep to hand small items like a camera, lip balm and snacks. The side stretch pockets are also ergonomic: they stay flat on the pack, saving space and not snagging on the move. Hand-rest straps will ease your progress, helping blood circulation in your arms as you rack up the miles. This top-loading VENOM 30 LD has the OPPOSITE OPENING: it keeps your pack up and balanced when open on the ground. A storm collar, double-buckle closure and side compression straps protect and secure the load. Two ice-axe and pole holding systems make the pack very adaptable: the QUICK AXE system has quick-use straps that fasten axes head-up; the system fits all shapes of ice axe, ergonomic and straight; and the straps can also serve to stow gear - just configure the loops and buckle to pack poles, pad or sleeping bag. Then the SPEED POLES holding system will free up your hands very fast when the trail turns vertical: use the side lash points to stow your poles without taking off your pack. The internal hydration compartment is also very handy: no slowing down to pull out a bottle. This compartment also stores the rain cover, as a downfall can always happen. On the front of the body, an elastic compression strap also keeps your gear in place. Front and side stretch pockets are ergonomic, efficiently saving space. To maximize performance, the Venom is made with the lightest fabrics. The A ripstop weave with very strong 70-denier nylon threads reduces snag damage and strengthens without adding weight. It is light and robust but supple too, and its smooth surface gives it a strongly technical look.